Short Startup Description: Acodez is one of the leading web development company in India. Acodez is a multiple international award-winning Google partner company. We have the perfect team of designers, programmers and digital marketers who provide unique and customized services to our clients spread across 70+ countries. We expertise lies in various genres of IT including web designing, web development, and digital marketing industry. Short Startup Description: Addon Web Solutions, trustable web and mobile app development company in India, offers native iOS, Android app development services and web application development services. 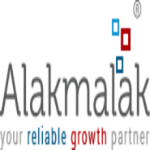 Short Startup Description: Alakmalak Technologies was founded in the year 2006, which specializes in web design & development, eCommerce development, Web Application, Custom Development, and SEO. Alakmalak Technologies was founded in the year 2006, which specializes in web design & development, eCommerce development, Web Application, Custom Development, and SEO. We never let you pay more than you need, or give less attention than you deserve. It is privately funded, do not rely on venture capital and operate on a continuously profitable basis, thus are able to maintain all operations and growth with the current revenues. Our philosophy being “”complete customer satisfaction”” which makes us a people-oriented company, wherein we work person-to-person and not business-to-business. We Provide professional web solutions like web hosting, website Designing, web application development. We are pioneers in Web solutions since last Nine years now, based at Ahmedabad city of India. We also provide redesigning of website and addition of more features like E-commerce, payment gateways, to the existing websites. CEO, Founder and Co founders Details: As Alakmalak’s CEO, Rushik brings over 11 years of management, operations, and marketing experience to his role at the company. Rushik is responsible for developing strategic partnerships, Production enhancements and generate sales to support Alakmalak’s growth. Rushik is also responsible for operational management at the company. Short Startup Description: Angular Minds is a top AngularJS development company, builds scalable mobile apps and web apps using AngularJS. Hire our dedicated AngularJS Developers for developing perfect AngularJS based apps and grow your business. Successfully doing web applications for the past 6 years. Having experts developers and designers. Address Biztech IT Consultancy Pvt. Ltd.
Short Startup Description: Biztech a prominent design and development company possesses huge experience in building IT solutions for the enterprises, startups and businesses across the orb. With web development offerings, the company also specializes in mobile apps development with customized solutions. At Biztech, businesses get their business ideas merged with reality and easily automate processes astonishingly. Biztech Consulting & Solutions is a decade old company providing innovative digital IT solutions to SMEs and enterprises globally. Throughout our eventful journey of 750+ projects for E-Commerce, CRM, ERP, CMS, Mobile technologies and Digital marketing, we have strived to be a complete IT solutions partner for our clients. As such, for all our projects, IT consulting and development goes hand in hand. Having achieved stupendous success with projects and with a global recognition we moved into the product space 5 years ago and now, with 100 plus custom made digital software products and over 7450 plus product installations, Biztech is a trusted name in the world of extensions and plugins also. With a number of best selling Magento extensions and exclusive apps for SugarCRM and SuiteCRM, Biztech is confidently marching into the future, continually striving to integrate business and technology the best way possible. At Biztech our mission is to provide innovative, world-class and enterprise grade IT products and services to global businesses, thereby enabling them to leverage technology for business growth. Our vision is to become a leading enterprise IT solutions provider that is recognized globally for its technological prowess and highest quality standards. CEO, Founder and Co founders Details: Mr. Maulik Shah is the founder & CEO of Biztech Consulting & Solutions, one of the leading web design and Development Companies in India. Huge experience in building IT solutions for the enterprises, startups and businesses across the orb. Short Startup Description: Established in 2016, Briskstar technologies is a pioneer in providing end to end web and cost effective solutions to its clients around the world. Web Design and Development, Mobile Application Design and Development for iPhone Application and Android, E-commerce Development, PSD to HTML, Open Source Development and Internet Marketing SEO are our featured services. Briskstar Technologies, Inc. is Web Development Company based in India, providing a complete set of Offshore Web Development and Website Design Solutions to businesses of all areas. Specialised in eCommerce development, Magento consulting, Responsive web design, Web development, Marketing and Support. Our team with 100+ IT professionals who are techno crafts in multiple areas and provide esteem support. Our main goal is to provide client satisfaction and engage them towards innovation and growth. At Briskstar Technologies, Inc. we focus on multiple areas including eCommerce. We are driving to make you successful in all areas. Our team acquires the proper use of HTML5 and Web 2.0 strategies and eye catching web design and effective web development. We are mainly known for remarkable web design over the years and provide best usability to visitors to stick on site on first visit. So, if you are equally believed on success path about your web design, we are here to prove ourselves and can help you achieve the results you desire. Our satisfied clients are our source of inspiration and motivation. Janakpuri , Ludhiana – 141001. Short Startup Description: We Offers Naming & Tag line Writing, Business Card , Flyers, catalogs, print advertisements, 2D / 3D Animations & Complete Web Solution. Short Startup Description: Clickmatix is a well known PPC marketing and affordable seo services provider in USA. Clickmatix is a well known PPC marketing and affordable seo services provider in USA. We believe in performance. We focus on driving potential customer which helps your brand & business in long-term. we don’t believe in shortcuts as we believe shortcuts has short success. We provides you affordable SEO services to be the best against your competitors. Our PPC services can help you to double your traffic. As being a leader in pay per click marketing, we manage your AdWords account to improve your business and its visibility. Short Startup Description: CODEISTIC is a Startup which focuses on blending Creativity with Technology. We are Designers, who give different look to your Business digitally. We help brands and businesses to engage with their customers more effectively through a blend of insights, creativity and technology. We’re smart, creative, nerdy and nice. And most importantly, we make sure we understand you, your business and the people you work with. Shubhi is young, strong and enthusiast serial Entrepreneur. Shubhi is an Indian designer and art director with over three years of experience. She has a passion for creating beautiful, intuitive and highly crafted solutions, combining a considered approach with emerging technologies.